Eager to watch the new episode of Orange is the New Black? But, watch your Network connection. Hope you do not binge the entire episode on a cellular data. Check if you have your smartphone connected to Wi-Fi. A piece of advice for everyone using Netflix. Watch your data consumption whenever we streaming any video using Netflix. It can cost you a fortune at times. Many a times, we are left with no other option but to use our data connection for viewing anything online. Maybe your Wifi connection is down or you are away from home and you need to watch something on an urgent basis. Irrespective of the case, many a times you may end up stream videos using your data. But are you aware of the amount of Netflix data you are going to use while streaming anything? If you don’t have a substantial data cap available on your phone, Netflix can burn a big hole in your pocket. Most of the users of Netflix are unaware of the fact that it uses almost 1GB of data per hour. So, if you are watching a high definition movie using your data pack then it will for sure rake up both the data usage and shoot you monthly bill sky high! Lucky are those folks who know how to control Netflix data usage to deter their data bill from getting out of hand. 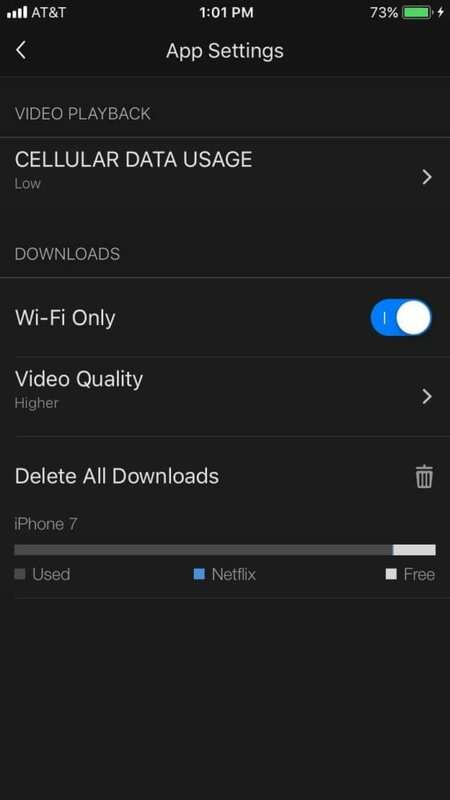 Keeping in mind, we have tried to jot down methods to control the amount of data Netflix uses on your phone. Mobile data usage on phones can be managed in two ways. If the intent is to manage the Netflix data on a single device, it is advised to use the first method. However, if the usage must be managed on multiple devices, which accesses your Netflix account then one should opt for the second method. Click on the Hamburger menu icon located on the top-left corner of the screen. In the Cellular Data Usage window, you will be presented 6 options: Set Automatically, Off (Wi-Fi only), Low, Medium, High, and Unlimited. 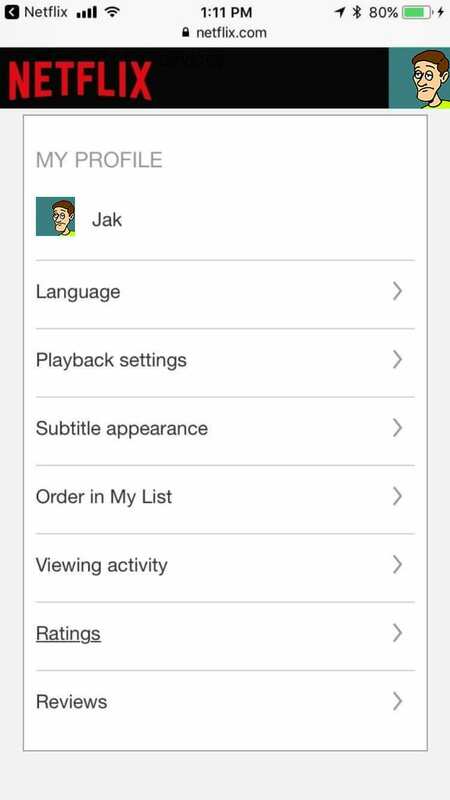 The Set Automatically option does everything automatically. 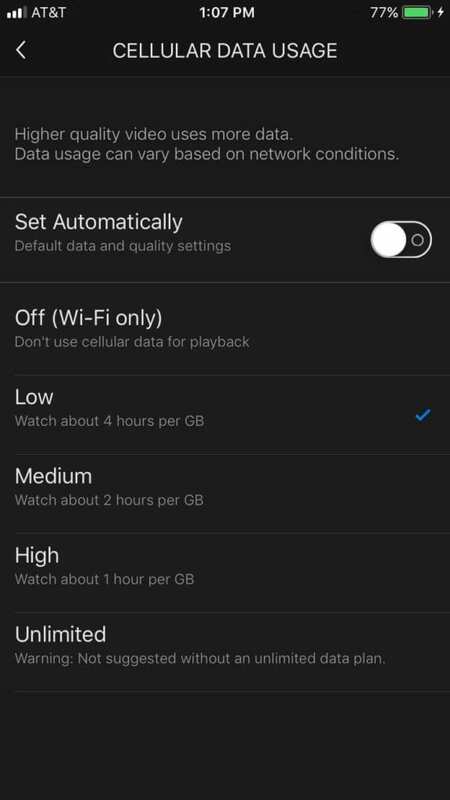 Hence, is not recommended if you want to manage the Netflix data manually, as the Set Automatically option grays out all the other options. If you want that only your Wi-Fi should stream any online content and never use Netflix, then the second option, i.e. Off (Wi-Fi only) is just made for you. Alternatively, you can opt for the Low option to minimize data usage. It uses the least amount of data i.e. 1GB/four hours and though the streaming quality may suffer, your data bill will not. However, in case you are blessed with data then feel free to select any of the higher-quality options. But remember that with each quality hike the GB-to-hour ratio will hop considerably. Click on the Hamburger menu icon, present on the top-left corner of the main screen. Scroll down and locate Account option. Tap on it and it will open Netflix in your preferred web browser. Here, scroll down and locate My Profile option. Now, click on the Playback Settings. In the Playback Settings, you will be given 4 options: Auto, Low, Medium, and High. 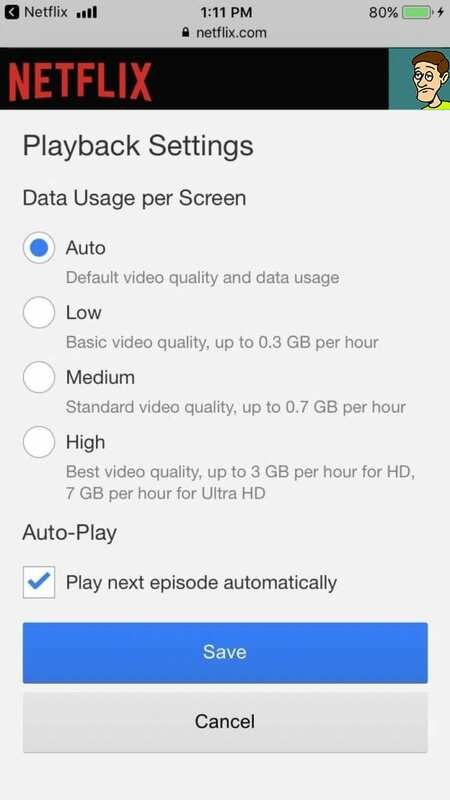 Again, do not choose Auto if you seek to control the data usage in Netflix on your own. You can choose among the other three options per your requirement. So these are the ways that one can opt for to control their data usage on Netflix. Hope the article was helpful for you.